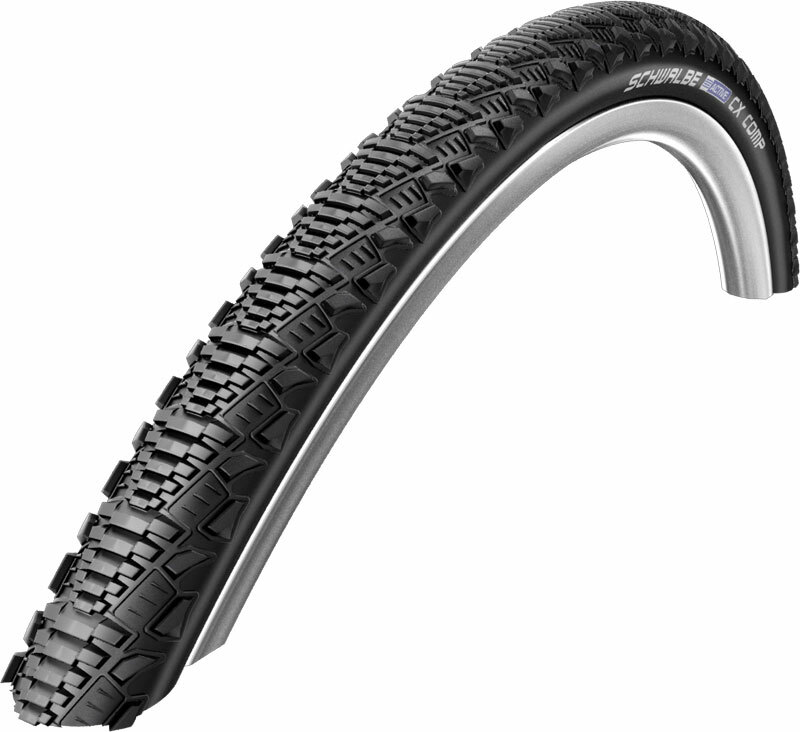 Schwalbe's CX Comp Cyclo-cross Bike Tyre is a light and economical cyclo-cross specific tyre. Featuring a low, semi-slick proﬁle, this cyclo-cross tyre is fast rolling and offers responsive cornering grip. I am very pleased with my product. Tires look better in real life. Seriously good rubber and feel. I enjoy this tyre as it grips in muddy sandy conditions where I reside. Would recommend it to anyone especially hybrid loving people. On road it's a quiet non friction tyre which help when pedalling up hill. Great product thanks for living up to the standard.